Another year, another huge PAXAus! As usual, between tournament sets we are open for learn to play sessions and casual matches. So feel free to take a break between all those panels, cosplaying and indie games to come join in for some competitive fun! Winners for each tournament will receive a limited edition PAXAus medal! 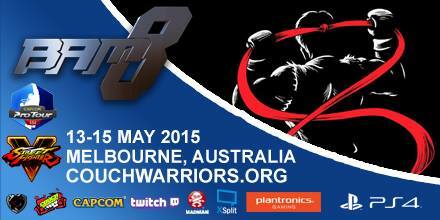 Direct link to the fighting game schedule can be found here. Here are the Top 3 in each game after October’s Ranbat. The next CCH (Chris’ Club House) will be held at the RICHMOND Library at 3PM this Saturday for more casuals n’ chill. Pyro’s KOFXIV League will be on hiatus this week because he is away. Entry Fee: $4 venue fee; anybody that brings either a monitor/console/laptop gets in for free. BYO: screens, consoles and sticks are all appreciated, even if they go unused. The more the merrier. Tier 1 is your competitively driven players or veteran players, expect to be playing people that know what they’re doing and are looking to improve even more so. Tier 2 is your new to King of Fighters or I’ve only played it a handful of times. Expect that these players would be looking to get into the game and maybe one day make it to Tier 1. You may choose your own tier, if you think you’re a Tier 1 player, then enter T1 otherwise enter T2. If you’re stomping T2, you may be moved to T1. Scoring: If you win your set 3-2, you’ll be awarded 3 points. If you’re the loser in this situtation, you’ll only earn 2 points. Effectively you accumulate score over how many games you win regardless of the overall set victory, so consistent attendance will help you here. End of Season: There will be a prize for the highest number of points for each division, but there may be other prizes to be won should you show vast improvement or community spirit so don’t be discouraged from playing KOFXIV. Pyro will update you on exactly what we’re going to do as soon as he has a good idea. It’s time for the CouchWarriors AGM. Where: 6 Davies St, Brunswick. Masonic Hall. Since we are a non-for-profit organisation, we are required to run this every year and to give one month’s notice to board members and the public. -Election of board members: President, Vice-President, Secretary, Treasurer. 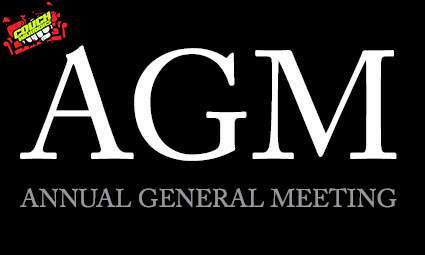 Our secretary Rory Betteridge will add a detailed agenda based on last year’s AGM agenda soon. Our AGM is open to the public, if you feel like you would like to be a part of CouchWarriors and to help out with tournaments and building up the fighting game community in Melbourne, please feel free to come along. Our scene is built on the passion and dedication of volunteers and organisers, we couldn’t do it without you guys. CW Traditional Fighters+Melee October Ranbat – Preregister by making a Smash.GG account and visit here to register. CW Smash 4 October Ranbat – Preregister by making a Smash.GG account and visit here to register.